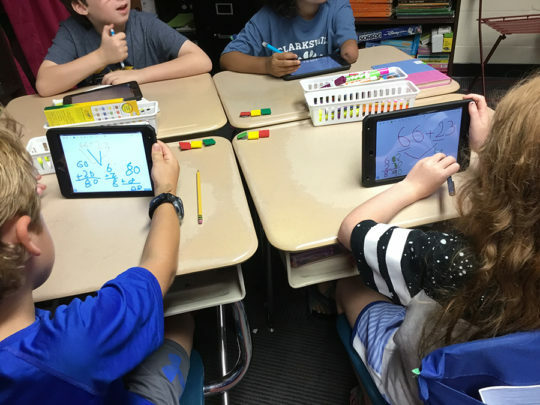 Third grade students practiced mental math addition strategies using Baiboard app on their iPads. 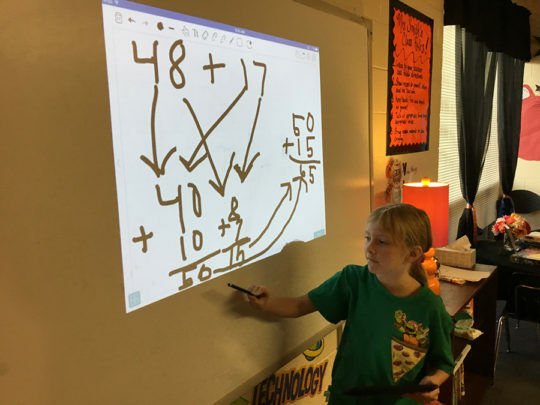 They worked problems, participated in discussion and presented their steps in solving various problems to classmates. 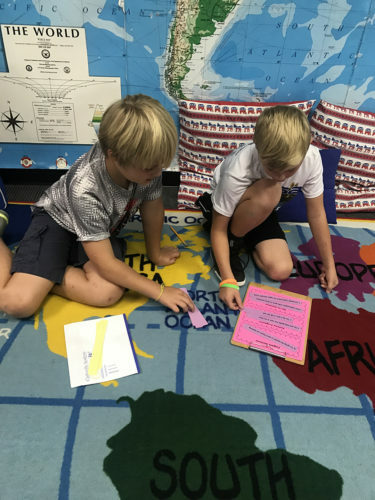 The third grade classes have been studying a unit on Map Skills. 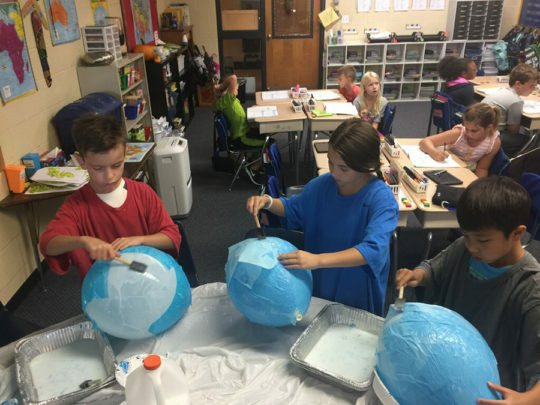 What a fun time making paper mache globes. As you can see they have the whole word in their hands. 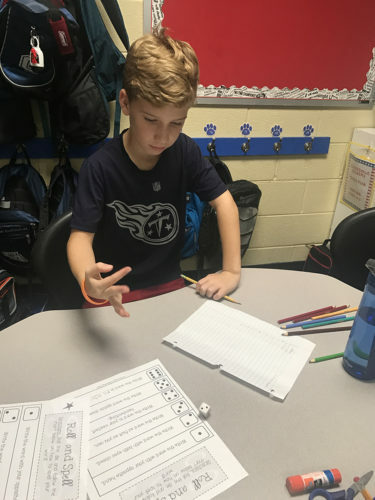 4th grade FUSE students practiced their weekly spelling words with a roll and spell number cube activity. 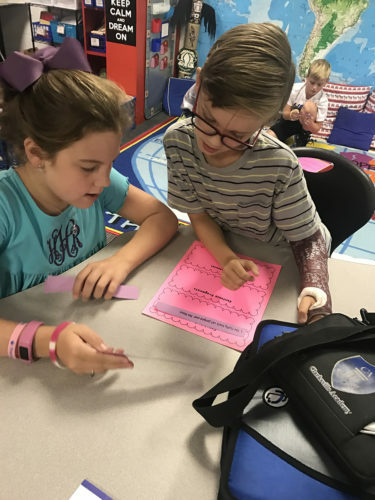 4th grade FUSE writing students worked in partners to sort and identify examples of complete sentences, sentence fragments and run-on sentences. 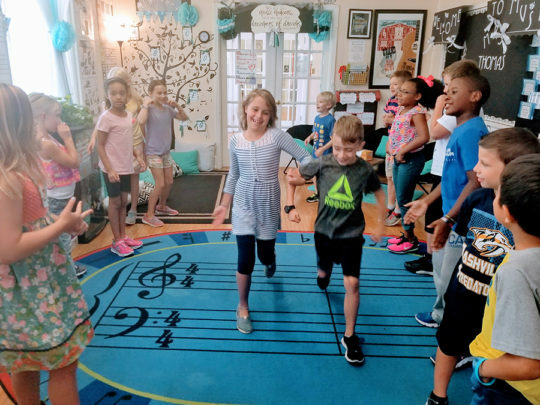 A HAND CLAPPING, PARTNER DANCING GAME ! 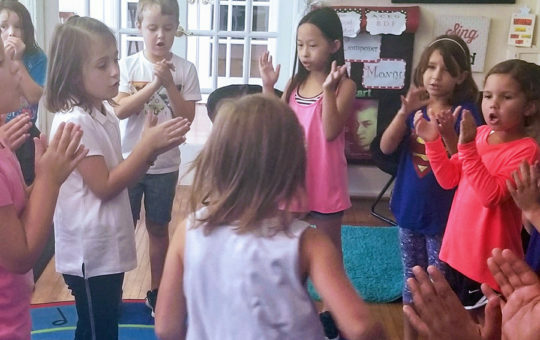 a child learning about music has to tap into multiple skill sets, often simultaneously. 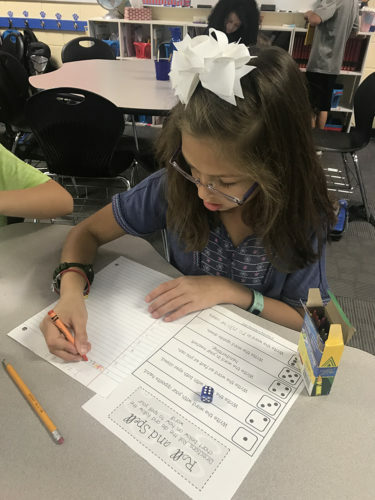 Second grade students have been completing a “Brown Bag Autobiography.” At the beginning of the school year, the students chose five of their favorite items and brought them to school in a brown bag. The students have worked hard to write and edit an autobiography to describe why the items in the brown bag are so special to them. The students will present their “Brown Bag Autobiographies” to the class. The students have been looking forward to finding out what items their classmates treasure! 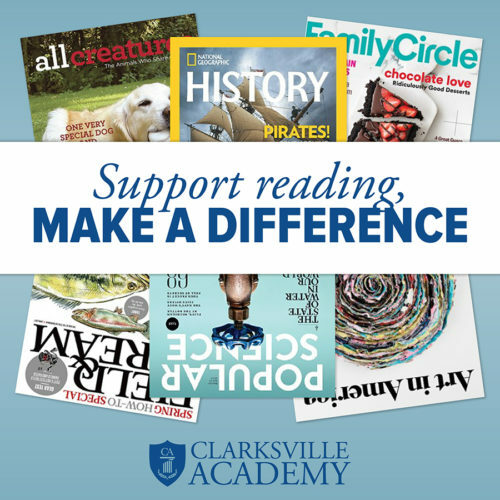 Cover yourself in your class color!